How often do you search for a firmware update ? 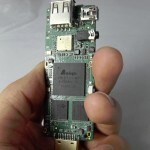 Your Android Mini PC “on a stick” might already be running on outdated firmware. Since these little Android devices are product of recent or even ongoing development, as they might have been released in a beta status in the eagerness for profit in a “hit first” market scenario), a firmware update might fix and add lots of functionalities. It might prove wise of you to search for firmware updates, as they may include an updated Android version and / or better graphics drivers, or even a more efficient power managment solution. Where can I check for a firmware update ? Even if your Android mini PC is not listed in there, you may go ahead and peek into their current list of firmware updates, as by this time they might have included a firmware update for yours!